Trada goes big with $5.75 mm in new funding. Here's where it will be spent. Trada goes big with $5.75 mm in new funding. Here’s where it will be spent. You might remember us writing about Trada a couple of months back. At the time, I was simply impressed with the company’s business model, and thought they were doing something very interesting. I still stand by that thought, and apparently Google Ventures does as well. Boulder, CO. basedTrada has just secured $5.75 mm in series C funding via Google Ventures and in association with Foundry Group. This latest round moves Trada up to $7.95 mm in total funding, and opens a wealth of new doors for the company. Robertson says that Trada’s main concern right now is no secret. In order to continue growing at the rate that it has been (600% in 5 months), the company must make some serious investments into its sales staff, materials and features. It’s easy to say that this is a good problem to have, but with every problem there must come a solution. Demand for Trada’s services is skyrocketing and with that comes the need for more infrastructure and hiring on Trada’s part. Robertson uses the case in point about a business that sells products in France. The money will help Trada to better serve these businesses by allowing it to hire PPC experts who are fluent in French and understand the French market. Trada’s entire business relies on knowing the best locations to serve ads, the words to use in them and understanding emerging markets for PPC display advertising. The funding by Google Ventures simply makes sense, due to Google’s position within the display ad business. Beyond that partnership, however, Trada needs to spend some considerable investment into research that will help the company do its job better. In Robertson’s estimation, a big part of that push will look at YouTube advertising placement as a somewhat newly-tapped market. When you grow from 30 to over 200 customers in 5 months, there are a lot of changes that have to happen very quickly. Robertson’s explanation of this is saying that what most businesses have to deal with over the course of a year, Trada is facing every 3 months. In order to get a handle on that, Trada is focusing its sights on what a customer will experience in 2011. That customer experience is what Trada is really holding onto dearly. Moving forward, Trada will continue to work on growing the base of its business, while handling the scale changes that come with that growth. Our congratulations go out to Trada. We’ve been following the company for the past few months, and will continue to do so as time goes on. 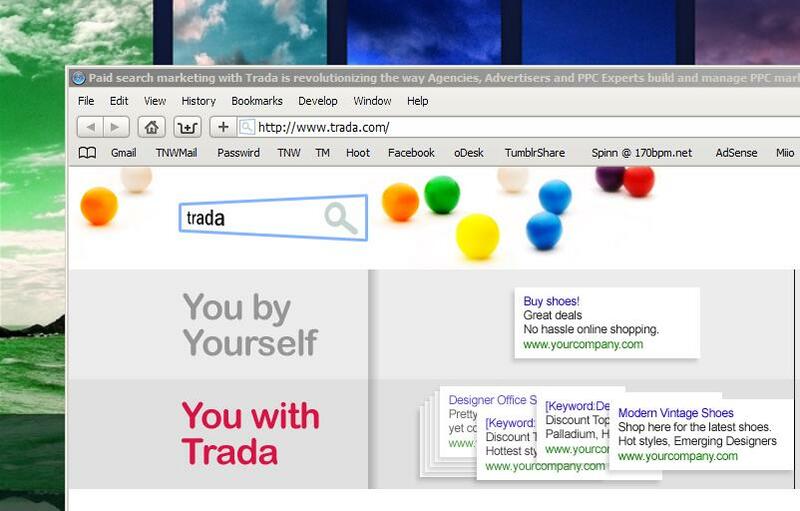 Trada’s amazing approach to PPC advertising is setting an industry standard for “organizing expertise”. Read next: So cool: Tetris with blocks that fall like leaves!